In 2011-2012, Waite Environmental Management, LLC (now WHEM) undertook an 11-month groundwater monitoring study for several homeowners within a housing development. These owners were having chronic flooding in their shallow basements and were seeking an adequate remedy from the developer. The work involved review of existing soil and test pit data, installation of a network of shallow monitoring wells, regular collection of groundwater elevation data (manual and data logger), and review of climate data. 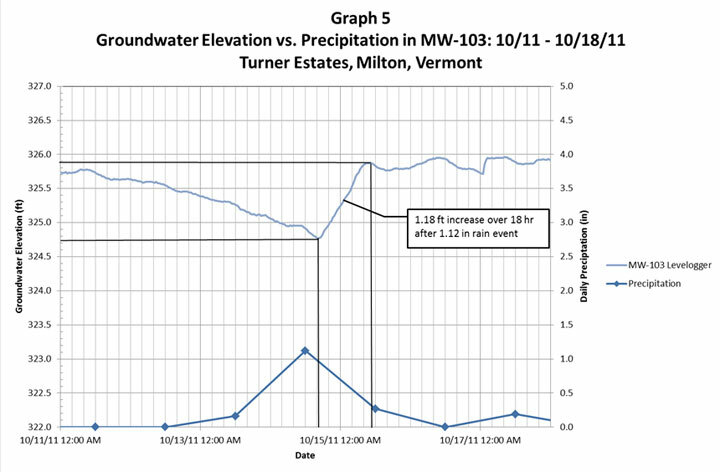 Based on this work, WEM was able to evaluate seasonal high groundwater conditions, predict response of groundwater rise to rainfall, and then provide an opinion as to the appropriateness of the engineering and construction design of the housing units.